David Le/Salem News. 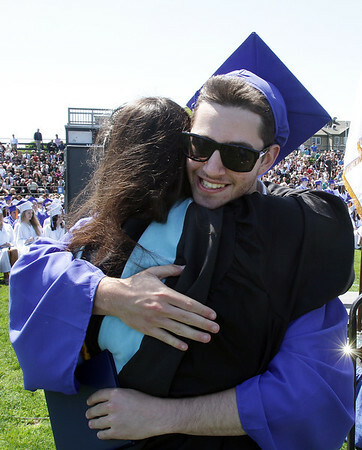 Swampscott High School senior Nolan Surette hugs senior class advisor, Lytania Mackey after receiving his diploma on Sunday afternoon. 6/5/11.